The European Association of Folklore Festivals – EAFF is member of the International Organization of Folk Arts - IOV WORLD. EAFF joined the list of the prestigious world organization under number 4890. As a member, EAFF cooperates with the network of members in which participate professors, folklorists, folklore researchers and performers (not only amateurs, but professionals also), as well as culture and education institutions such as museums, universities and others. IOV was established in 1979. In 1998, IOV entered into Operational Relations with UNESCO. Sozopol Foundation was established by Mr. Kiril Arnautski in December 2002. 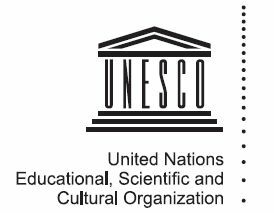 Sozopol Foundation is the first Bulgarian non-governmental organization adopted as a consultative partner of the United Nations Educational, Scientific and Cultural Organization (UNESCO) on February 3, 2012. On February 23, 2016 Sozopol Foundation was informed that it has been added to the NGO list of the United Nations Economic and Social Council, based in New York City.